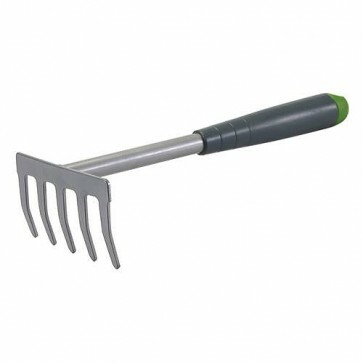 Brand New Hand Garden Rake Corrosion-resistant hand rake with powder-coated steel head. Plastic handle. With hanging hole.